We’re a versatile company with a flexible team of technicians who are ready to work. We understand that in the world of locksmithing, there are a lot of things that can go wrong. Because of that, you need professionals who can keep up with the changing times. 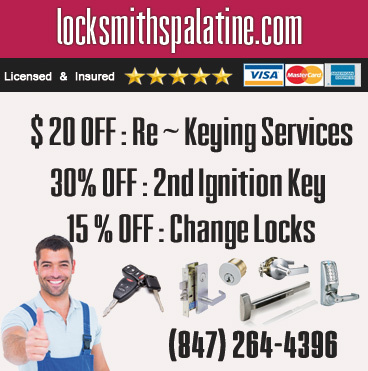 If you’re looking for a business who’s always ahead of the curve, Locksmiths Palatine is the place for you. Sometimes, your locks are going to need a little more attention than usual. As a responsible vehicle owner, it is imperative that you take these needs seriously. You don’t want to compromise the integrity of your car by neglecting it. 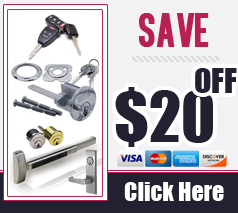 Instead of taking the easy way out, call Locksmiths Palatine for a professional auto lock repair. We’ll make it a simple process that won’t stress you out at all. Feel free to call us today to get more information and how we’ll help you. North Canterbury Lane | North Timberlea Drive | Pepper Tree Drive | East Alison Drive | North Cardinal Court | West Pleasant Hill Boulevard | North Eric Drive | East Emma Court | North Arbor Lane | Bryant Avenue | Fairfax Avenue | South Hicks Road | Carriageway Circle | North Sherwood Lane | Freeman Court | South Belle Avenue | West Euclid Avenue | East Rainbow Bay | Dundee Road | West Karen Lane | South Consumers Avenue | Angeline Court | East Stark Drive | North Wren Avenue | North Schirra Drive | Pennsylvania Drive | North Babcock Drive | West King George Drive | South Jamestown Drive | Peebles Whitehall Drive | North Salem Court | North Arrowhead Drive | North Circle Drive | East Cooper Drive | East Paddock Drive | South Hampton Court | East Tahoe Trail | North Boynton Drive | South Westwood Lane | West Doral Court | Wanda Lane | North Haven Drive | Twin Lake Drive | East Baldwin Lane | Aster Avenue | East Forest Lane | Raven Lane | North Easy Street | North Claremont Drive | West Summerset Court | Chesapeake Court | East Patten Drive | West Gilbert Road | Evergreen Court | East Slayton Drive | Lilac Drive | Haman Road | East White Water Lane | East Grissom Drive | North Cedar Street | West Parkwood Court | South Brookdale Lane | Lakeview Court | Sherwood Court | East Baldwin Road | East Kenilworth Road | South Bothwell Street | North Victoria Drive | Dorset Avenue | West Peregrine Court | New Bridge Court | East Brookdale Lane | North Greeley Street | North Williams Drive | North 1st Bank Drive | East Glavin Court | East Randville Drive | North Waterbury Circle | West Stuart Avenue | North Newkirk Lane | North Deer Avenue | North Hazel Crest Road | West Goodrich Place | North Chalary Court | East Flake Drive | North Brockway Street | West Echo Lane | North Hudson Bay | East Fosket Drive | Jane Adams Drive | Rhiannon Court | Jonathan Drive | West Sutton Court | Olde Virginia Court | West Glencoe Road | South Quentin Road | North Earls Court | West Bayer Drive | Carmel Drive | East Tulip Way | North Hedgewood Drive | West Skylark Drive | North Jamestown Drive | East Schirra Drive | North Fairway Drive | East Carpenter Drive | East Dorothy Drive | West Lakeside Drive | Whytecliff Road | Kimberly Avenue | East Silver Strand Circle | Park Avenue | South Valley Lane | West Wood Street | North Deer Run Drive | South Boardwalk Court | East Mill Valley Road | Bent Creek Court | South Ela Road | South Elizabeth Court | North Augustus Court | Little City Drive | North Comfort Lane | South Circle Drive | Wyndham Court | North Trailside Court | East Frances Lane | East Greenbriar Lane | North Brookdale Lane | Slippery Rock Drive | East Pepper Tree Drive | North Reynolds Drive | Vermont Street West | Garden Court | Woodland | West Terrace Court | Apple Tree Court | Cottonwood Way | South Whitehall Court | Leonard Road | Louise Lane | West Kristen Court | Grove Road | Whispering Oaks Drive | North Clyde Avenue | West Illinois Avenue | Willow Wood Drive | Sandpiper Court | North Sunset Road | North Canterbury Trail | North Carter Street | Hamstead Court | Citadel Court | North Greensburg Lane | Jennifer Lane | East Eisenhower Court | North Driftwood Avenue | West Cornell Avenue | Heritage Circle | North Street | East Comfort Lane | West Comfort Street | West Michigan Avenue | West Creekwood Drive | Thurston Drive | South Oak Street | East Woodbury Lane | North Drew Court | East Capri Drive | South Insignia Court | Arlington Road | Winslowe Drive | West Steeplechase Lane | East Dundee Quarter Drive | North Whitcomb Drive | Hillside Street | North Rand Road | Quentin Road | North Forest View Circle | Thornhill Lane | North Virginia Lake Court | Meryls Court | South Valley Circle | North Robinson Drive | North Glenn Drive | South Whippoorwill Lane | North Rosewood Court | South Park Lane | North Denton Avenue | South Greeley Street | North Williamsburg Drive | Avondale Drive | North Regis Court | Geneva Drive | East Stonebridge Court | North Shannon Lane | North Dean Drive | West Peregrine Drive | North Melanie Court | East Wilmette Road | East Holly Way | West Lynn Drive | Park Place Drive | South Parkside Drive | Haig Court | Wedgewood Drive | East Osage Lane | West Baldwin Road | South Peebles Road | West Revere Lane | Bennett Avenue | Cambridge Court | East Northwest Highway | Teal Drive | North Drive - Harper College | East Lincoln Street | Stonehedge Lane | North King Charles Court | East Monterey Road | West Dorchester Road | West Hampton Place | North Crescent Avenue | East Orchard Lane | East Canterbury Trail | North 1st Bank Drive | E Brookdale Lane South | South Warren Avenue | North Goldengate Lane | North Schubert Street | Sellstrom Drive | Chatham Drive | East Donegal Bay Lane | South Falcon Drive | East Dean Drive | Old Plum Grove Road | Arlingdale Drive | South Hale Street | Bruno Drive | Old Forge Court | North Mart Court | South Michigan Court | East Clare Court | South Stonington Drive | Baldwin Way | North Lenwood Drive | Marshall Court | North Ginger Creek Drive | North Jack Pine Court | East Nichols Road | East Russet Way | North Hancock Court | North Portage Avenue | Crimson Lane | East Daniels Road | West Partridge Drive | North Sterling Avenue | West Anthony Drive | East Bissell Drive | Plum Tree Court | West Bloomfield Court | East Rand Grove Lane | North Coolidge Avenue | South Royal Court | North Heritage Drive | West Heatherlea Drive | South Harvard Court | East Pompano Lane | Dresden Avenue | Wilmette Avenue | West Robertson Street | Cold Springs Court | North Stark Drive | Brookdale Court | Chivalry Court | West Haddington Court | North King Edward Court | East Michele Drive | Fire Lane | West Hidden Hills Lane | Groh Court | North Woodwork Lane | North Briar Patch Court | West Falkirk Place | North Virn Allen Court | Bristol Court | East Rimini Court | South Plum Tree Lane | Perry Drive | North Clearwater Court | West Hamilton Drive | Brookdale Lane | Pendelton Court | North Bothwell Street | Concord Way | Holly Way | South Clubhouse Drive | East Providence Road | South Winston Drive | Beaver Pond Road | White Willow Bay | South Corona Drive | Amaarja Court | West Rue James Place | Coolidge Avenue | Virginia Drive | South Brockway Street | North Clark Drive | North Forest Court | West Frontage Road | Geri Court | Warwick Road | West Brentwood Drive | North Baldwin Court | North Greenwood Drive | Villa Circle Drive | West Hunting Drive | North Abbeywood Court | Deer Court | East Sayles Drive | East Macarthur Drive | Lee Court | West Mahogany Court | Turtle Creek Circle | North Dartmoor Avenue | South Brighton Court | South Greenleaf Court | South Harrison Court | Crown Court | North Elmwood Lane | West Cherrywood Drive | Everett Drive | East Candlenut Lane | Whispering Oaks Court | East Joan Drive | East Shadow Lake Terrace | Prairie Lane | South Maple Court | West Ellis Street | Imperial Court | | North Lakeside Drive | Hamilton Court | Mallard Court | Brighton Lane | West Talon Court | Arrowhead Drive Court | East Farmgate Lane | West Misty Drive | Lancelot Lane | Fairway Court | East Wilson Street | North Poplar Street | East Gilbert Road | East Vermillion Lane | South Harrison Avenue | North Big Oak Road | North Hawk Street | West Kenilworth Avenue | North Denise Drive | Shady Drive | North King George Court | East Bradley Court | North Lytle Drive | East Olde Virginia Road | South Echo Lane | Thorntree | South Kerwood Street | North Timberlane Drive | Frost Road | Baldwin Road | North Topanga Drive | North Laguna Court | East Morris Drive | Troon's Crossing | North Sanborn Drive | West Spencer Court | Isle Royal Circle | North Old Bridge Road | Stuart Lane | North Fortwood Court | West Willow Street | West Hamilton Lane | West Eaton Court | North Court | West Colfax Street | Oakridge Court | Pebble Creek Road | East Country Club Court | South Williams Avenue | Mahogany Court | North Pondview Drive | Joyce Avenue | East Helen Road | North Flake Drive | North Wilshire Court | Bogey Lane | North Irene Drive | Sue Lane | West Tymore Court | West Bishop Court | North Mill Court | East Rosita Drive | Sanborn Drive | Hidden Creek Circle | Conway Bay | Benton Street | Saratoga Drive | North Schiller Street | North Crabtree Drive | Thackeray Drive | North Emerald Bay | North Capri Drive | Falmore Drive | West Exner Court | North Linden Avenue | Katie Lane | North Stephen Drive | West Auburn Woods Court | Green Lane South | West Edgewater Lane | South Windhill Drive | Dupont Avenue | North Doe Road | East Fawn Lane | South Vermont Street | Lanark Lane | Borders Drive | West Shady Lane Road | North High Grove Lane | North Kitson Drive | North Pepper Tree Drive | West Johnson Street | East Kevin Circle | Silver Lane | North Auburn Woods Drive | East Sherman Street | Kathleen Drive | Arlene Avenue | Stark Drive | Briarwood Lane | North Charter Hall Drive | Westmoreland Drive | Randville Drive | South Fremont Street | West Glade Road | East Tall Trees Lane | West Center Road | Still Water Court | West Slippery Rock Drive | East Prairie Brook Drive | Bedford Drive | Doe Road | Timber Ridge Road | West Kelsey Court | East Cedarwood Court | West Hill Road | Palos Avenue | West Reading Court | West Cunningham Drive | Geri Avenue | Longview Lane | Ruhl Road | Wilson Court | South Meacham Road | Magnolia Court | North Brice Court | East Delgado Drive | Industrial Avenue | North Almond Court | North Old Mill Road | East Greenwood Court | North King Arthur Court | West Hillcrest Road | West Northwest Highway | South Drovers Lane | East Lynda Drive | East Lake Louise Drive | Port Center Drive | East Anderson Drive | West Wilson Street | West Dartmoor Avenue | South Leo Court | Sutherland Court | East Robertson Street | Green Lane North | Randall Lane | West Portage Court | Martin Drive | West Crooked Willow Lane | Woodcliff Lane | West Myrtle Street | North Del Mar Drive | West Hickory Lane | Woodland Road | Poplar Street | Cambridge Drive | Bayside Drive | North Chestnut Street | East Illinois Avenue | South Hart Street | North Ginger Creek Circle | North Shoreside Court | Reseda Parkway | South Saddleridge Court | Fairfield Court | Clear Creek Bay | East Amherst Street | East Malibou Lane | North Tanglewood Avenue | East Moseley Road | West Fairview Way | Winchester Hill | North Fosket Drive | Wilton Court | Palm Drive | West Kelly Ann Drive | South Smith Street | Brockway Street | Spruce | Kimball Avenue | East Chewink Court | East Pennsylvania Drive | South Abbey Hill Lane | Glencoe Road | East Wilmette Road | East Spruce | South Spring Willow Bay | East Heatherlea Drive | West Bombay Way | North Gatewood Avenue | Creekside Drive | North Wente Court | Iris Drive | Palmer Lane | South Elm Street | Eagle Lane | Longacres Lane | Thorntree Lane | East Glencoe Street | South Rose Street | Wilmette Road | Tall Trees Court | East Castle Court | North Suthers Lane | Freeman Road | Oak Brook Circle | Ash Street | North Dogwood Lane | West Brookside Street | North White Sands Bay | North Silverton Court | South Patricia Lane | West Garden Avenue | North Enlund Drive | West Skylark Court | West Peder Lane | Hunting Court | Hicks Road | East Babcock Drive | East Timberlane Drive | East Home Avenue | Longvalley Drive | West Bridge View Court | East Spruce Drive | West Rosalie Road | West Claridge Court | West Fern Court | North Norman Drive | East Michigan Avenue | Glenview Court | South Baybrook Drive | Burr Oak Court | North Pinehill Court | North Corona Drive | North Wainwright Court | Sparrow Court | South Kerry Court | Laurel Drive | West Broadmoor Court | East Balsam Lane | South Benton Street | East Coach Road | Kensington Court | West Andover Court | East Gloria Drive | East Diane Drive | Alex Lane | Countryside Drive | East Gardenia Lane | South Glenwood Street | Medford Drive | West Imperial Court | Dee Lane | West Winnetka Street | Jamestown Drive | South Mallard Drive | Woodland Court | Old Hicks Road | West Carolyn Drive | East Glade Road | South Jewel Court | East Wyndham Circle | North Coach Road | South Rockledge Drive | South Cedar Street | Eisenhower Avenue | West Roanoke Court | Rimmic Road.